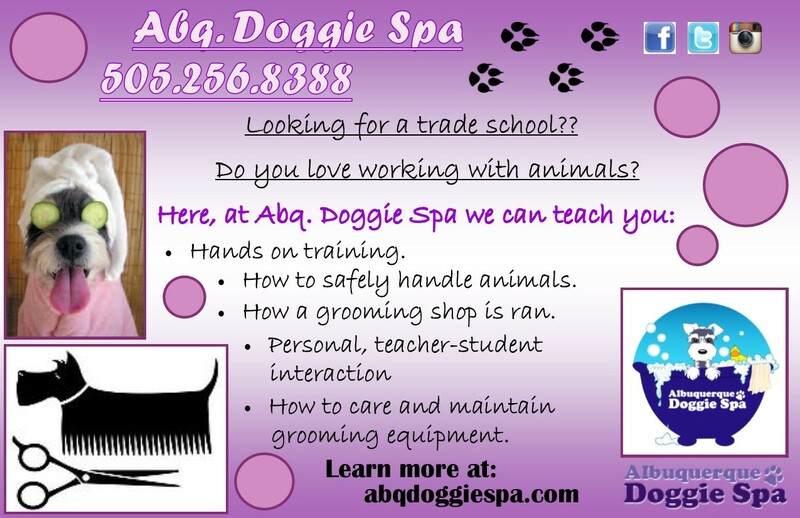 ABQ Doggie Spa offers quality pet grooming at competitive prices and a full instructional program for those dog lovers that are interested in entering the dog grooming business. We use hammocks to help with pet fatigue (especially on our older dogs). Our shampoos and conditioning products are made for pets and are environmentally friendly. Here at ABQ Doggie Spa we believe in humanity before vanity and quality before quantity. We are avid pet lovers as well as caring and dedicated professionals. 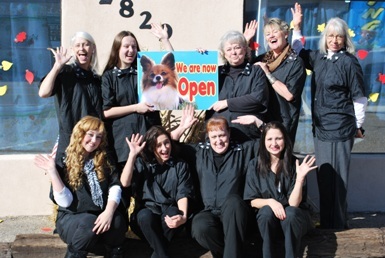 Call us at 505.256.8388 to book your next grooming session! We now sell CBD oil and CBD infused treats for your pet! !